The Uniphone is an exciting new concept in TTYs, combining a telephone, TTY and amplified phone – all in one! Now, people who are deaf, hard of hearing, or hearing can all share one phone. 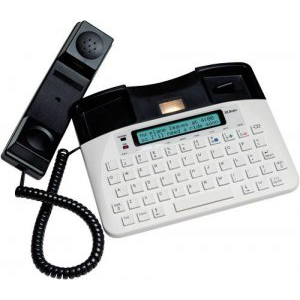 A full-featured TTY, the Uniphone includes a bright display and a comfortable keyboard and an amplified handset.